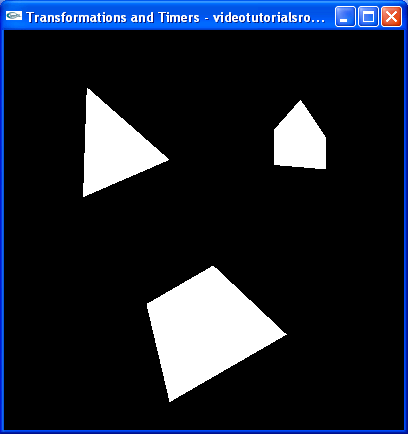 In this lesson, you will learn how to use transformations to simplify positioning vertices of 3D polygons and how to use timers to implement motion. This lesson is in "Part 1: The Basics". After this is "Lesson 3: Color". Skipping around? That's okay. Just make sure you know the material from "Lesson 1: Basic Shapes".